Tristan Glowa, 22, addresses a crowd that gathered in Fairbanks Monday to support Juliana vs. United States. 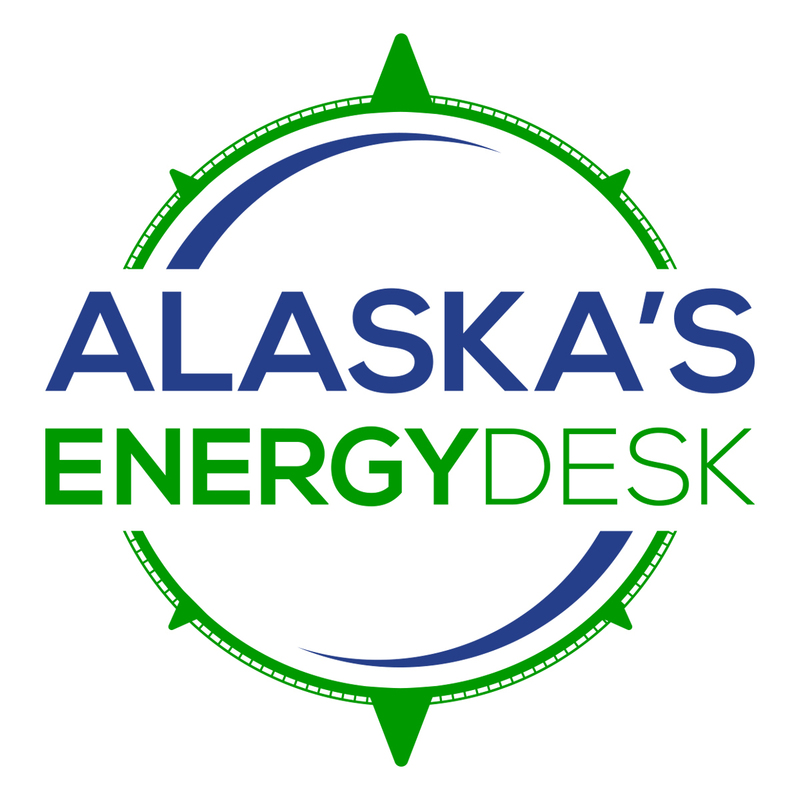 (Ravenna Koenig/ Alaska’s Energy Desk). Monday was supposed to mark the start of a trial in a landmark climate change lawsuit brought against the U.S. federal government by almost two-dozen young Americans. But the case has been placed temporarily in limbo by the Supreme Court. So, instead of a trial, the day was marked by rallies in support of the case. At the rally in Fairbanks, over 50 people showed up to hear speeches from mostly young people. Baring is the father of one of the plaintiffs, 19-year-old Nathan Baring. 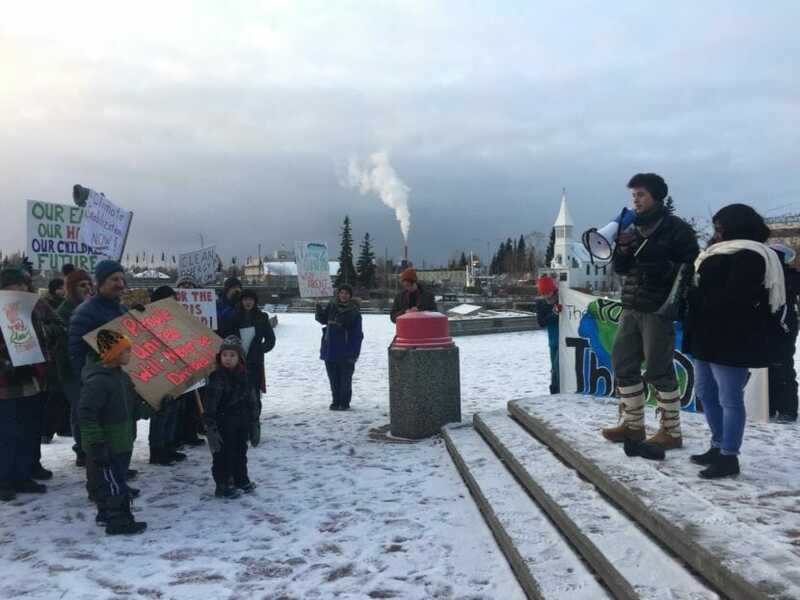 Rallies were also held in Anchorage and Sitka, and a youth engagement event in support of the lawsuit was held in Homer. According to a press release from Our Children’s Trust, the legal organization supporting the plaintiffs, there were more than 70 events planned across the U.S. for Sunday and Monday. The Juliana case was put on hold over a week ago by Chief Justice John Roberts who granted a request from the Trump administration to delay the proceedings. The Trump Administration has already tried to get lower courts to dismiss the case, without success. According to Michael Gerrard, a professor of environmental law at Columbia University, it’s not clear what the outcome will be. “It’s conceivable that they could dismiss the whole thing, but that is unlikely,” Gerrard said. Gerrard says the Supreme Court’s other options are to lift the stay and allow the case to proceed to trial, or to send it back to a lower court to rethink their decision to allow the case to move ahead.